We create custom software solutions to fit the needs of every size business. 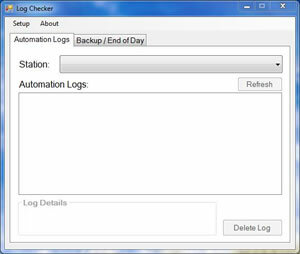 Description: This program was written for radio station traffic directors that use RDS Phantom Automation. This software checks to see which files have been placed on a server for the air talent to import into the Phantom. It also performs backups at the end of the day for anything the traffic director needs backed up. Software is full customizable and is free. Cyber-Comp Technologies is not affiliated with RDS (Register Data Systems) and does not support the Phantom. We have released the following simple software projects as Open Source under the GNU ("General Public License"). The following software programs have been checked for viruses by Sophos and Avast and have been deemed ok (Google Chrome will mark the exe files as malicious because the code is not signed by a Certificate Authority). If in doubt, download the source code, check it and compile it yourself. The source code for these programs are written with default naming schema that the IDE provided (ie. Form1, etc). 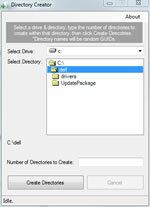 Description: Use this program to generate large amounts of random directories inside another directory. Useful in load testing WAN environments when needing to enumerate a large amount of folders over a network connection. This software does not generate the desktop.ini or thumbs.db files that can slow down folder enumeration over a WAN link. Description: This program allows users to use Microsoft Excel with multiple windows (instances) - default behaivor in Microsoft Excel is to open each file in the same instance (master window). This allows a new instance of Excel to be spawn each time a file is opened, useful when you have a multiple monitor setup and need to view two file maximized on each screen. **NOTE: Each time Microsoft releases an update for Office, this program has to be re-ran to correct Microsoft resetting Excel's default settings.